While we are in Scarperia procuring my wine opener, we spend some time in the Knife Museum, which is housed in the Vicar’s Palace, admiring cutting tools through the ages. We have noticed that these museums are very small in scale and this has taken a bit of getting used to. They are however beautifully installed, even though it takes somewhere in the neighbourhood of 30 minutes to get through. This is actually perfect with children. They are never busy – in fact, we are often the only patrons in the place. After the museum we opt to eat dinner here. We have taken most of our meals at our villa. So tonight, with nothing waiting for us at home, we decide to stay here and have a meal. Cooper has become a rather intrepid eater and I am so proud of him. 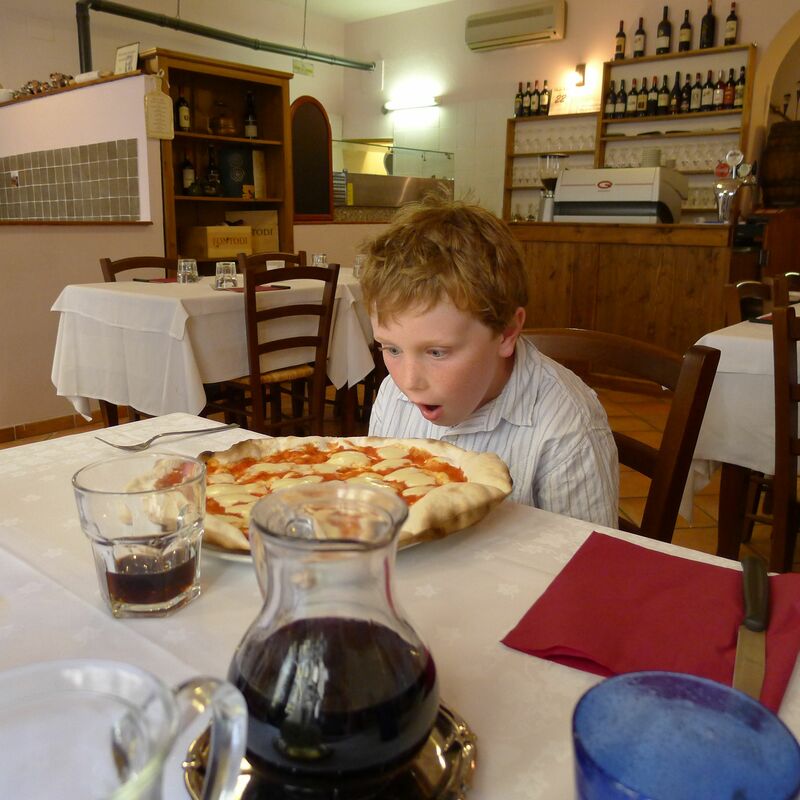 This does not however find him sampling on the risque side of the menu – he still defaults to the margherita pizza, but it does mean that he will try truffles and wild boar without thinking too much about it. The Palace, whose origins date back to the 14th century, had a subsatantial extension in 1415, when Scarperia became a “Vicarious Seat”. 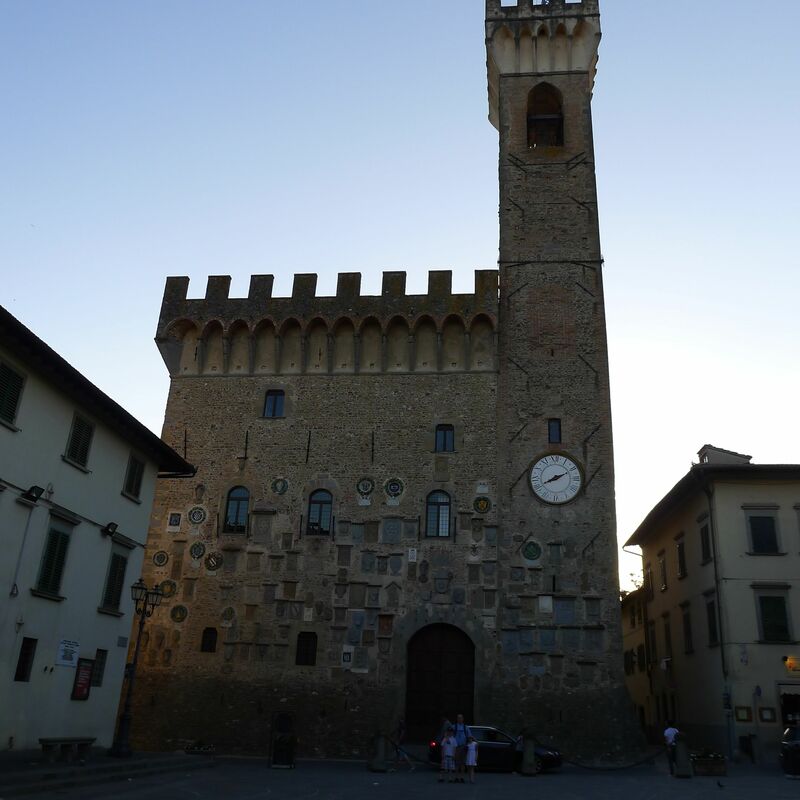 The facade as well as the interior is decorated with numerous coats of arms, because the Vicar, after spending a six month stay in Scarperia was obliged to leave the crest of his family. We have noticed this on other buildings around the Mugello region and find it interesting. I don’t quite understand it, but imagine it to be a sort of displayed calling card to let people know how important you were. You can see the crests on the front of the building.